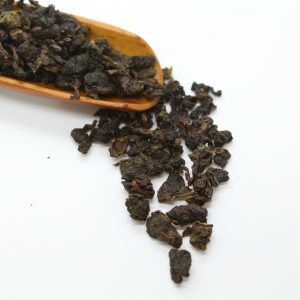 Oolong is a traditional Chinese tea, produced through a unique process involving: withering the plant under the strong sun and oxidation before curling and twisting. Most Oolong teas, especially those of fine quality, involve unique tea plant cultivars that are exclusively used for particular varieties. After the oxidation and partial shaping process has been completed, Oolongs are heated to halt the oxidation process and then they are carefully shaped one last time. In addition to this basic heating, many Oolongs are then carefully roasted. The roasting process can give Oolongs darker aromas and flavors, ranging from ripe fruits, nuts, roasted grains and coffee. The Broad range of flavors produced by the oxidization process, makes Oolong tea a broad category of tea. Oolong teas enormous span of flavors and aromas stretch from fresh, clean and grassy, to dark, roasty, fruity and even espresso-like.